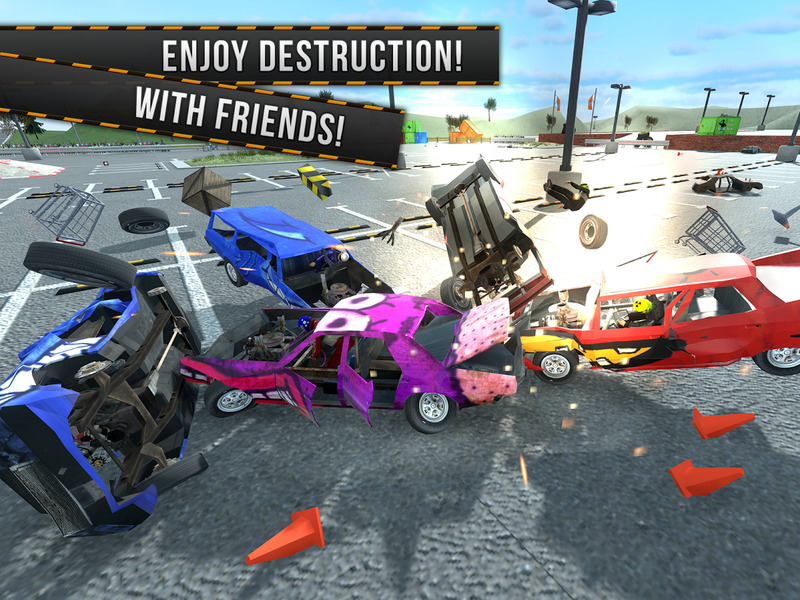 Download and play against your friends and rivals now for free! Choose from various cars and tracks and hit the Play button to instantly play against demolition derby rivals across the globe worldwide. 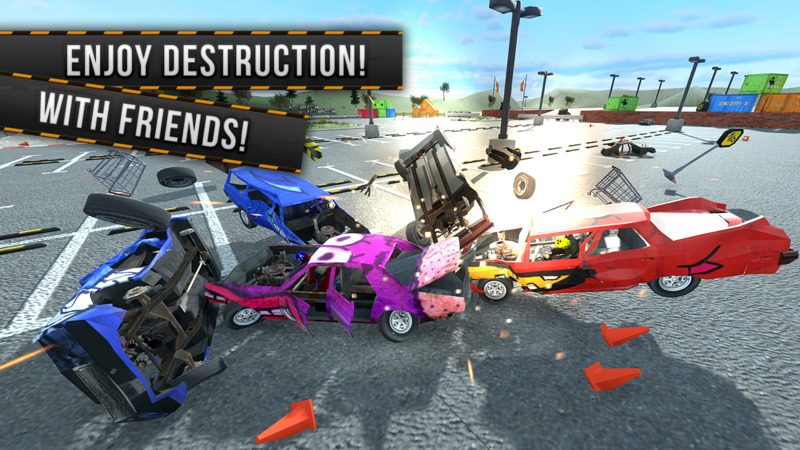 Easy to play, but buckle up and fasten your seat belts as you smash your way to victory and become the next big demolition derby champion. 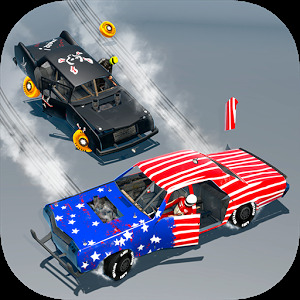 Bang and smash the wannabee competition in this next generation racing game experience! 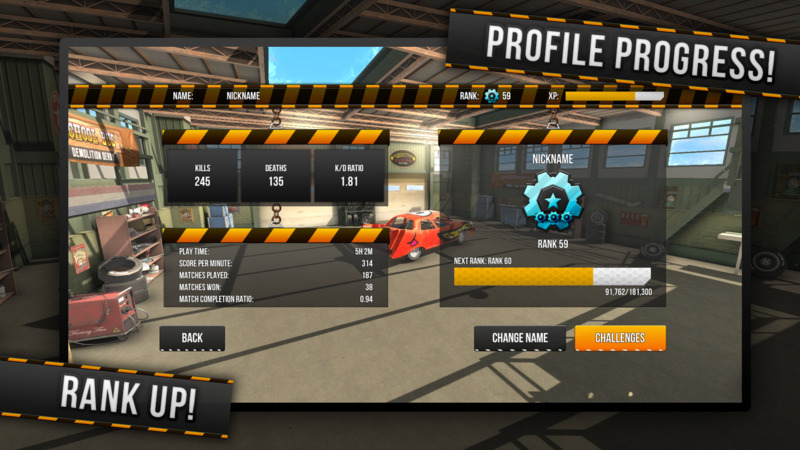 One player should first select HOST from the main menu to host a private match, then select the preferred track. The host will then get a LOBBY ID which can be shared with friends to join the private match. 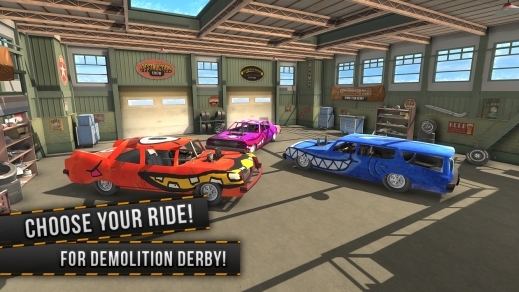 The other players can now select JOIN from the main menu and enter the LOBBY ID / CODE to join the match. 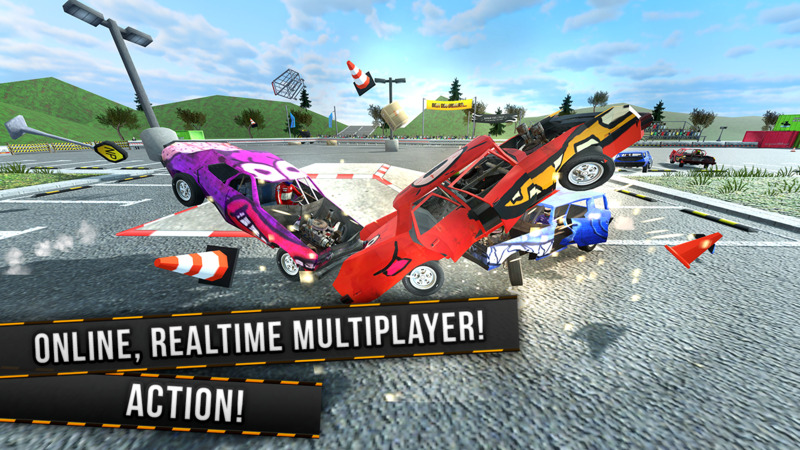 Smash and crash into your opponents and see the full physics and damage emerge in front of your eyes even when playing online (3G, 4G, or WIFI) in real-time against rivals. Play live PvP games with up to 4 real players using the Destruction Crews' new breathtaking peer-to-peer multi-player technology that has been optimized over the past years. This game empowers you to experience multiplayer gaming like never before. 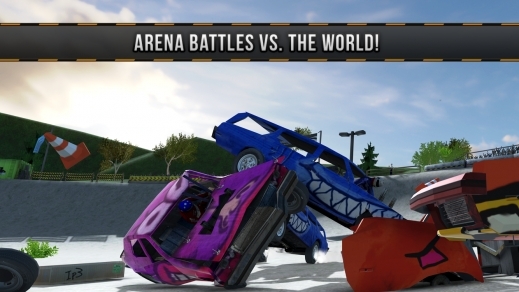 This is not your average multiplayer racing game! Hit the install button and join the destruction and mayhem with Demolition Derby Multiplayer. 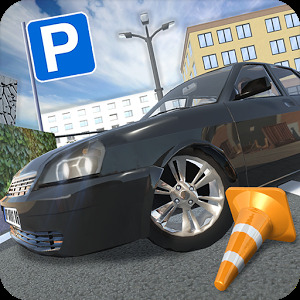 Download and install for free now!